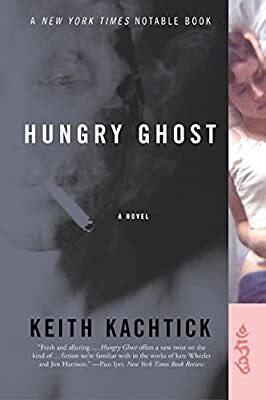 Author: Kachtick, Keith Set In . . .
Carter Cox is a talented but dissipated freelance photojournalist living in New York City's East Village with his sad dog and bad habits. Though he travels to exotic places taking pictures of models and celebrities, he yearns to do more meaningful work and to mend his womanizing ways. He also wants to put into practice the lessons he learns from his Buddhist betters, but he continues to carry with him his “seduction kit”: a chessboard, cigarettes, and a Cormac McCarthy novel. At a Buddhist retreat, he meets Mia Malone, a beautiful, smart devout Catholic determined to remain a virgin until she is married. Carter falls hard, and Mia nervously agrees to join him on a photo shoot in Morocco. With both of their souls hanging in the balance, they quickly go from the ocean to hot water: crashing their car, getting arrested, running afoul of a sadistic gendarme, and trying to flee the country. Over the course of their adventure, they discover that karma and the human heart work in very mysterious ways.